Elephants are the largest terrestrial mammals in the world and are revered as cultural icons in the nations in which they are indigenous. Sadly, these magnificent creatures could face extinction in the near future due to a number of factors. 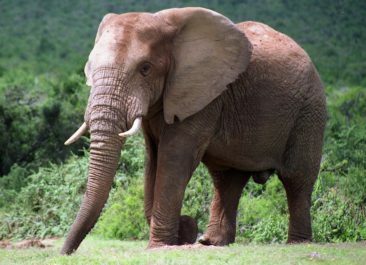 Listed as ‘Vulnerable’ by the International Union for Conservation of Nature (ICUN), the African elephant is threatened by poaching, habitat loss and a number of other worrying factors. According to the ICUN, ‘Vulnerable’ means that ‘a species is likely to become endangered if the circumstances threatening its survival don’t improve’. Although the most damaging factor contributing to the decline of elephants is poaching and the trade of ivory from their tusks on the black market, global warming and habitat destruction represent additional threats to the existence of the species. 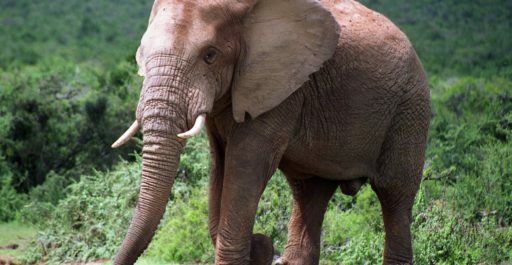 According to the UN, an estimated 100 elephants are killed in Africa every day by poachers, and illegal poaching should be addressed accordingly, as the main issue regarding elephant conservation. Killed for their tusks and body parts, the world ivory trade is worth an estimated 1 billion dollars. However, the rising temperature of the Earth poses another threat to the species and should be given serious consideration to limit the impact of human activity on the elephant population, be it directly through human-elephant contact or indirectly, through global warming. Elephants exist in a number of different biomes throughout Africa and Asia and live across a vast array of diverse climates. They consume a large variety of foods making them slightly more adaptable to the changing temperatures than other species. That being said, elephants are exceptionally sensitive to changes in body temperature and require a consistent habitat to facilitate their 22-month-long gestation period, long generation time and the raising of vulnerable calves. Elephants can live as long as 70 years and require a large range of habitat to breed successfully and maintain a herd. Their long life expectancy and gestation period makes them especially vulnerable to changes in their environment. Considering the amount of time it takes to reproduce, any slight disturbance to their daily activities results in limited reproduction and subsequent decline in numbers. Global warming and habitat destruction affect elephants’ range and adaptability, impacting on their delicate eco-systems and forcing them to find new migration routes as they go in search of food and water. The species requires an immense intake of water to survive and the rising temperatures threaten to limit the availability of this already scarce resource, especially in the dryer areas found in sub-Saharan Africa, one of the biggest habitats for African elephants. Climate change also has the potential to increase the already existent threats to the species as humans are forced to adapt to rising temperatures, indirectly putting further strain on indigenous animal populations. Furthermore, global warming has the potential to give rise to unforeseen threats to habitat in the future, forcing species to adapt to these stressors and thereby contributing to the alteration of their eco-systems. This creates a knock-on effect amongst species and threatens to greatly impact not just elephants but all the myriad creatures connected to them in some way. Conservation efforts and the fight against the illegal trade of ivory relies on initiatives set up by organisations like WWF (World Wildlife Fund) and Save the Elephants. While any initiative to limit the impact of global warming on elephants will be undoubtedly linked to the global fight against climate change, it is worth considering the human impact on the species’ environment and look to improve their access to vital resources. Game reserves and national parks are at the forefront of this fight, and they must ensure that human activity does not encroach on these animals’ habitat and water supply. Failing this, we may lose one of the biggest and unique mammals to ever exist.